Oil prices edged up on Monday as Saudi crude production took a surprising dip in July and American shale drilling seemed to plateau, Reuters reported. Markets also anticipated an announcement from Washington due later on Monday detailing renewed U.S. sanctions against major oil exporter Iran. Spot Brent crude oil futures LCOc1 were trading at $73.26 per barrel at 0101 GMT on Monday, up 5 cents from their last close. U.S. West Texas Intermediate (WTI) crude futures CLc1 were up 12 cents, or 0.2 percent, at $68.61 barrel. U.S. energy companies last week cut oil rigs for a second time in the past three weeks as the rate of growth has slowed over the past couple of months. Drillers cut two oil rigs in the week to Aug. 3, bringing the total count down to 859, Baker Hughes energy services firm said on Friday. Many U.S. shale oil drillers posted disappointing quarterly results in recent weeks, hit by rising operating costs, hedging losses and a fall in crude prices away from 2018 highs reached between May and July. Outside the United States, top crude exporter Saudi Arabia pumped around 10.29 million barrels per day (bpd) of crude in July, two OPEC sources said on Friday, down about 200,000 bpd from a month earlier. 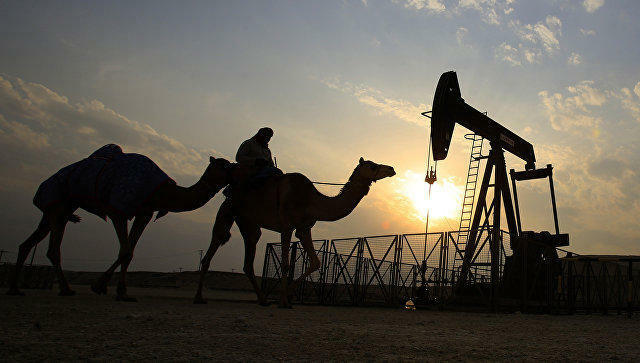 That drop came despite a pledge by the Organization of the Petroleum Exporting Countries (OPEC), of which Saudi Arabia is the de-facto leader, in June to raise output from July, with Saudi Arabia pledging a “measurable” supply boost. Still, with Russia, the United States and Saudi Arabia now all producing 10 million to 11 million bpd of crude, just three countries now meet around a third of global oil demand. Reuters technical commodity analyst Wang Tao said Brent “may test a support at $72.09 per barrel”, a break below which could cause further drops.